Posted 6:38 pm by Kirti & filed under AdWords Tips, Message Extension. Statistics show that about 4.2 billion people are texting worldwide and about 97% of American adults use their smartphones for texting purpose. It is apparent that text messages are looked up as a convenient medium to strike a conversation. Posted 3:34 pm by Kirti & filed under AdWords Tips, Keywords, Message Extension, Negative Keywords. While creating new search campaign, advertisers must do a quick sanity check. It helps cover up any bloopers and unblock any potential opportunities that were unseen while creating the campaign. 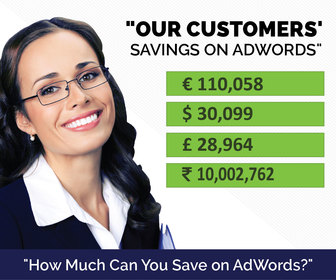 What message to add in AdWords message extension? Posted 7:21 pm by Kirti & filed under AdWords Tips, Message Extension. The new message extension has opened the prospect to reach out to audience that prefer the mode of messaging over calling or who are just scrutinizing a marketer and the business offering before taking the final plunge. Posted 12:15 pm by Kirti & filed under AdWords Tips, Message Extension. Building on the micro-moments is what Google’s focus point was during their keynote session last year. The prospect of mobile marketing was speculated to be humongous along with a recurring deterrent – How to measure mobile success? Posted 7:23 pm by Kirti & filed under AdWords Tips, Message Extension, Product Updates. Ever since Google officially accepted that more Google searches were taking place on mobile than on computers, there have been an array of product updates introduced to support mobile searches. One of such announcement made was the launch of Click to Message Extension.